Smartphones with more than 128GB of storage are still extremely rare, but they just became a little more accessible... if you live in Brazil, at least. 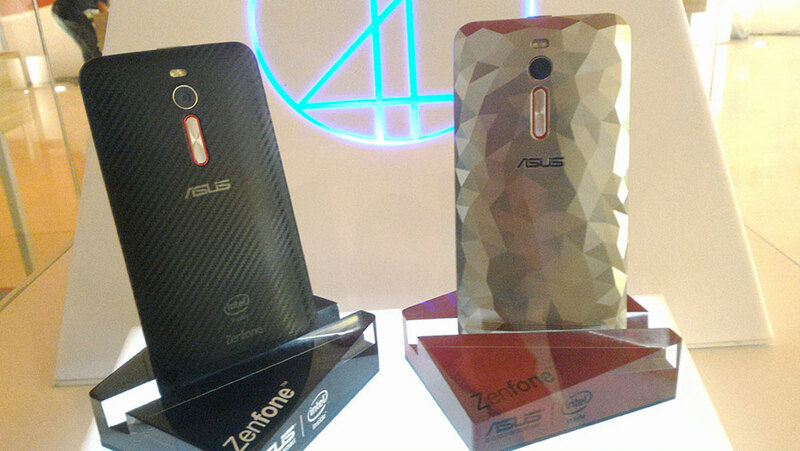 ASUS hasunveiled a Delxue Special Edition of the Zenfone 2 that includes a cavernous 256GB of storage. You won't be hunting for a microSD card any time soon if you pick this up, folks. You'll also have the choice of carbon fiber- or crystal-like backs instead of the more pedestrian shells of the usual Zenfone 2. This special run arrives in Brazil this September. 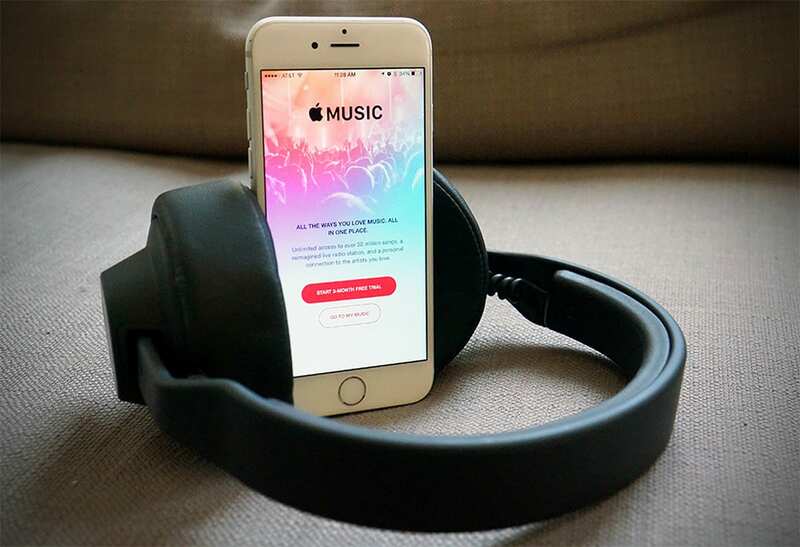 There's no mention of it reaching other countries, but here's hoping that it does -- cloud storage and streaming media will only go so far when you want lots of apps and videos at your fingertips. Did you buy an iPhone 6 Plus sometime between last September and this January? Do you notice that your shots taken with its back camera come out all blurry? Yeah, it's not just you. 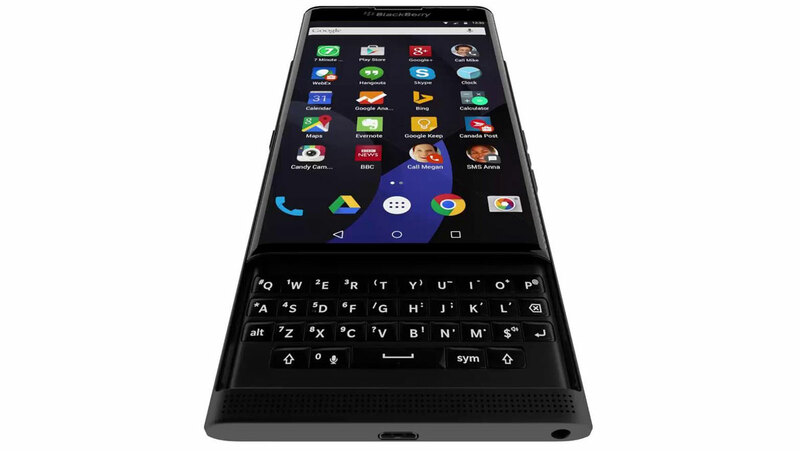 Turns out, a limited number of these phones shipped with a manufacturing defect. However, Apple is aware of the issue and has already begun issuing replacements for the iSight camera. If you think that you have one of these borked units, go to this website and type in your phone's serial number. If your unit is part of that bad batch, Apple will replace the camera (not the entire phone) at no charge. Also, if you're rocking one of the 4.7-inch iPhone 6's, don't worry; none of those units suffered from the defect. d, and then distribute the attack by means of the iTunes store or "spear fishing" email attacks. If you never use Google Play Games, Google Play Books, Google+ or Google Newsstand, than good news: none of them will be installed on your next Android phone. 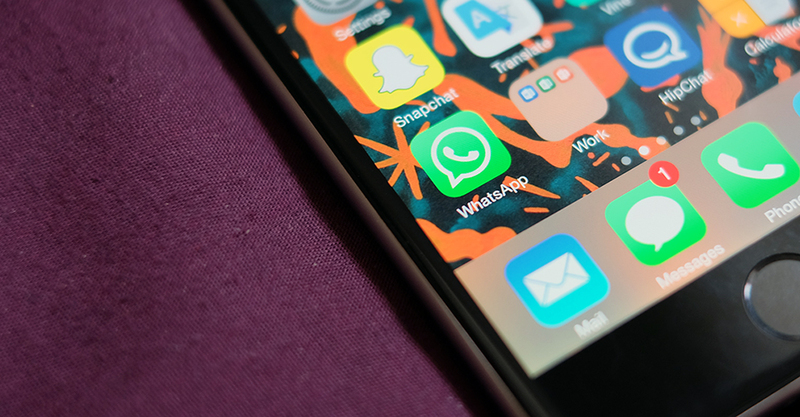 The suite of apps used to be mandatory for any manufacturer that wanted to sell a device with essential apps like Google Play and Gmail, but new partner guidelines have taken them off of the required pre-install list. Put simply, this means there will be just a little more free space on the next Android smartphone you buy. And if you do use those apps? They're still available -- you'll just have to download them from the Google Play store to use them. Google fans already rocking Android Wear will get an update this week that enables interactive watch faces. You can tap them to show more information or launch an app. The three watch faces released today include "Bits", which keeps the time display in the center, with circles around it displaying different things, like unread emails, upcoming meetings and the weather. The "Under Armour" face, meanwhile, adds fitness stats, allowing you to tap to see your step count, calories burned or distance. 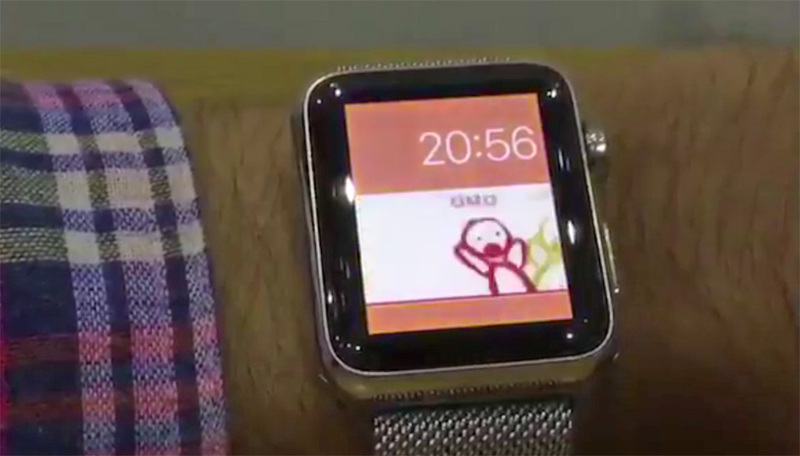 Lastly, the "Together" face turns the entire watch face into a display to share doodles, emoji, activities or photos with a loved one (yep, kind of like on the Apple Watch, it sounds like). Additionally, Google Translate is now accessible via a few swipes. You can download the Bits orUnder Armour faces from the Play store now, or follow these instructions to install Together. There's a statistic floating around that says that nearly everyone on Earth has a smartphone, but just over half of them have access to proper sanitation. Between that stat and this report from Gartner, it looks as if a great many smartphone makers should think about starting their own toilet-making businesses. The research firm believes that while the smartphone market is still growing, that rate of growth has now dropped back to 2013 levels. That's because China, long-regarded as a rich seam of un-tapped phone buyers has been exhausted, which is what's prompted these firms to turn to India andAfrica. If that all sounds a bit too business-y, here's the simplified version: everyone who can buy a smartphone already has one, and those people who don't probably can't afford them. To put it mildly, Apple's input device roster hasn't changed much in recent years. 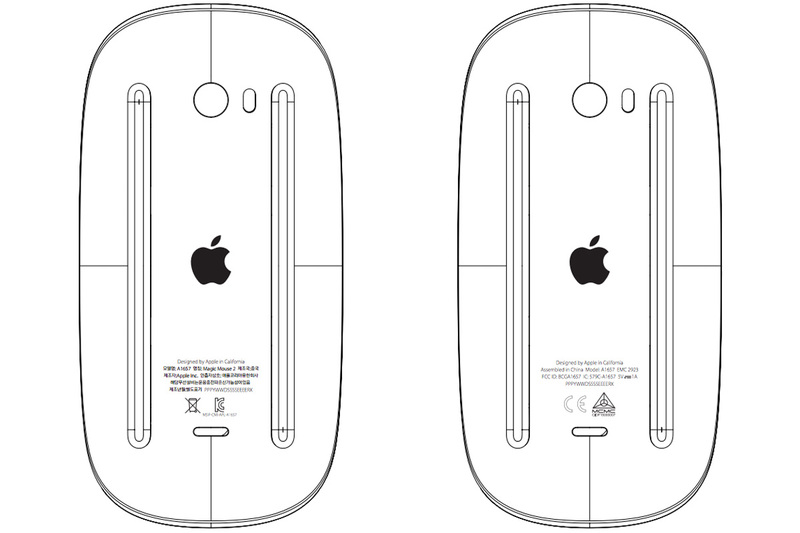 The Magic Mouse hasn't really been touched since 2009, and the Wireless Keyboard is even older than that. The Cupertino crew must be ready to shake things up, though: regulatory filings for both a Magic Mouse 2 and an updated Wireless Keyboard have shown up at the FCC. It's not certain how the external designs will change (there's no peek at the top of either model), but they're definitely going to get an internal upgrade. The peripherals are jumping from Bluetooth 2.0 to the more efficient Bluetooth 4.2 standard, and it looks like they may ditch AA batteries for built-in lithium-ion packs -- you might not have to swap batteries ever again. While there aren't any clues as to when Apple will deliver either the mouse or the keyboard, we won't be shocked if the two show up alongside new Macs sometime later this year. 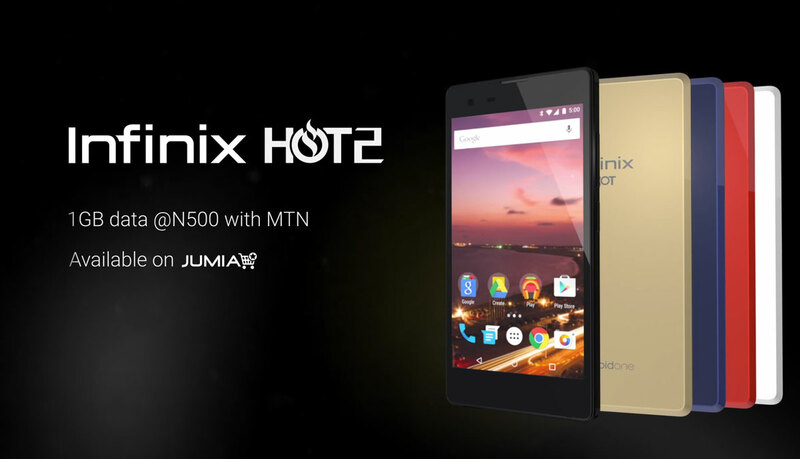 Google's program to bring cheap Android devices to developing lands has arrived in Africa with the launch of Infinix's HOT 2. The device is available today in six different countries, including Ghana, Ivory Coast and Kenya, setting locals back just just under $90. You certainly get some bang for your buck, with the HOT 2 coming with a quad-core MediaTek CPU, 1GB RAM and 16GB storage. 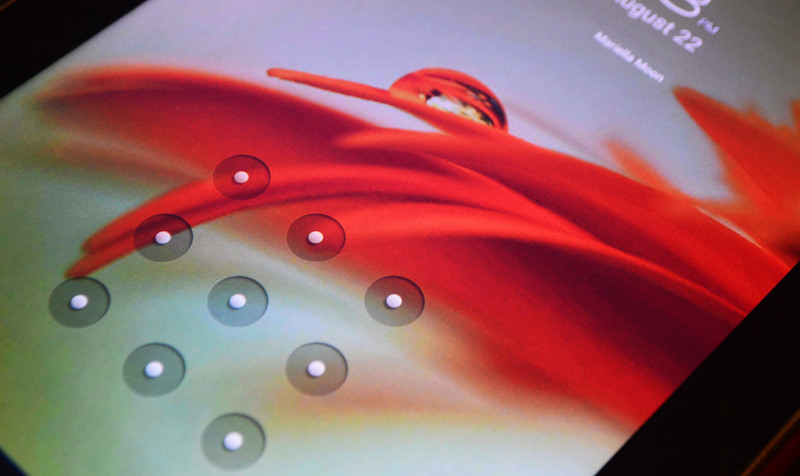 In addition, you'll find a microSD and dualSIM card slots running down one side of the phone. Photography-wise, there's an 8-megapixel primary camera paired with a 2-megapixel forward facer, and the whole thing is topped off with a 5-inch HD screen and a 2,200mAh battery. 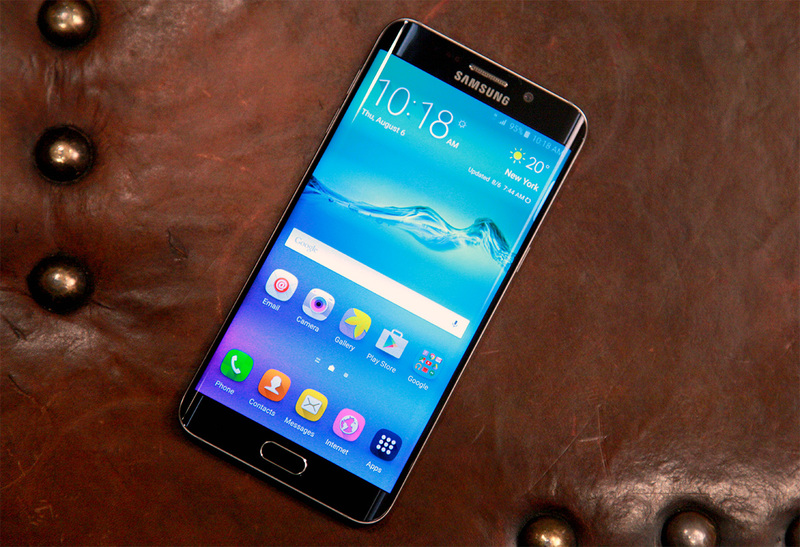 Samsung's Galaxy Note 5 may never come to the UK, but if you're a phablet fan that doesn't mean you're out of options. The company is also pushing its monstrous 5.7-inch Galaxy S6 Edge+, which is available to pre-order today ahead of its full debut on September 4th. You can buy the 32GB model from Samsung's site for £749, or splash an extra £80 for double the storage. For comparison, the company is selling the Galaxy S6 for £499 at the moment and the regular S6 Edge from £669. If buying the device off-contract sounds absurdly expensive -- you can buy four new Moto Gs for the same price, after all -- you can always pick up a subsidised device with your preferred mobile network. Vodafone, O2 and Three, among others, have a wide array of plans for you to mull over. We've been hearing about Fossil's wearable tech aspirations for quite some time, and now we're finally getting a look at what the company has been working on. At IDF today, the fashion brand showed off three "connected accessories," all of which are powered by Intel. 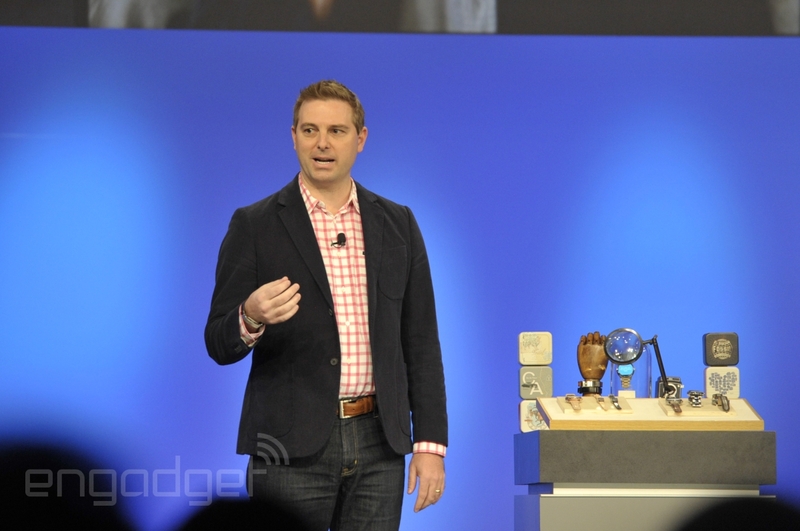 Sure, we've known the two companies were teaming up, but until now we hadn't seen any tech. 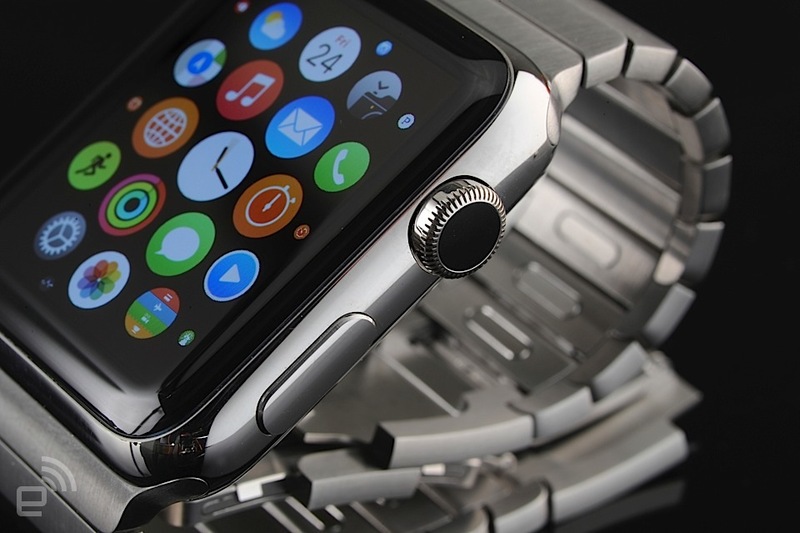 The three wearable devices are a connected bracelet, a connected watch and a smartwatch that runs Android Wear. The two companies weren't very forthcoming with specs and features, but from the looks of the devices we saw today, you can expect plenty of silver (and likely some gold) with leather and metal bands. You'll also notice the unsightly black bar that the Moto 360 sports along the bottom of Fossil's smartwatch face. The quick peek today comes as a bit of a teaser ahead of an official launch in time for the holidays and we're sure to get more info in the months to come. If you use Skype enough on your Android phone that you can't always make heads or tails of who's calling, today's your day. 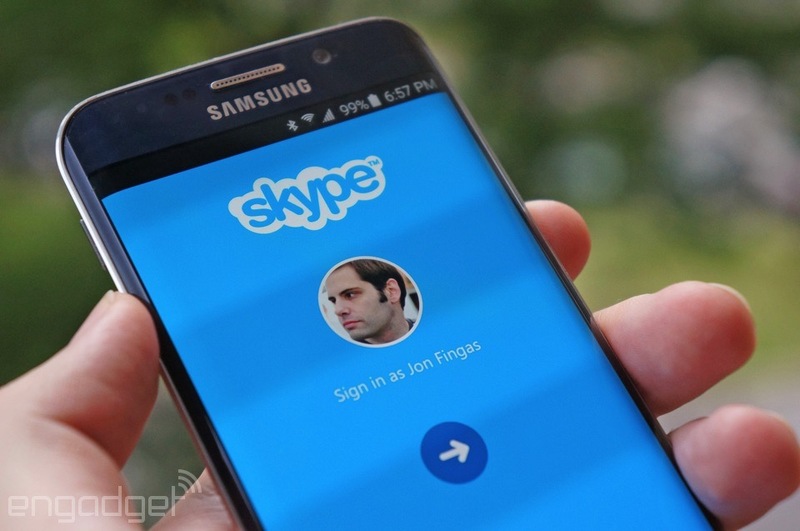 An updated version of Skype for Android brings the same kind of contact-specific ringtones that you might be used to with conventional calls, so you'll know if it's a BFF or someone who can afford to wait. The same update will be handy if you can't help but share pictures, for that matter -- you can now forward the images you receive in chat, guaranteeing that those baby photos will reach the rest of your Skype-using family. Swing by Google Play if either of these new features happens to reel you in. 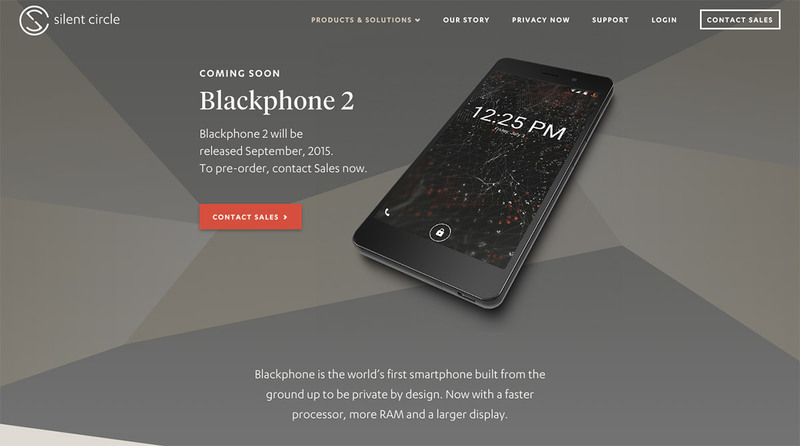 Blackphone 2, the second iteration of Silent Circle's privacy-focused handset, is now available for pre-order -- assuming you don't mind reserving a device without knowing its price. The original Blackphone was sold at the flagship-level cost of $629, but remember, this one's more sophisticated than its predecessor, with its front and rear covered in glass. It has a 5.5-inch 1080p display, and inside, it boasts an octa-core processor, 3GB of RAM and 32GB of storage. What makes it different from other phones with similar specs, though, is that it runs an Android-based platform called PrivatOS which includes a suite of secure apps, including ones for encrypted messaging and voice calls. You don't have to wait for a possible software update to put custom faces on your Apple Watch... if you're willing to throw caution to the wind, anyway. Developer Hamza Sood has written code that lets you load the watch face you want, such as a silly animation with variable colors. It's crude (you're modifying a hard-coded list of supported faces), and will most definitely void your warranty while you're using it. However, this might scratch the personalization itch if Watch OS 2's Photo face doesn't go far enough.